1597 2nd cast by Robert Mot. c 1600 4th cast by Robert Mot. Stahlschmidt later described it as "a very indifferent specimen of his workmanship". The tenor was also cast. 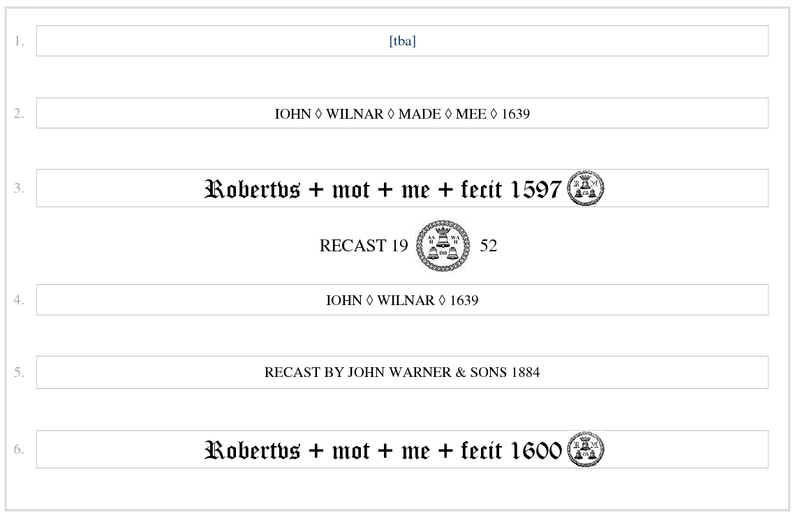 1639 Treble and 3rd cast by John Wilnar. 1884 4th recast by John Warner. 1944 Bells rehung in a new frame for 6. 1952 2nd recast and bells retuned and rehung by Mears & Stainbank. 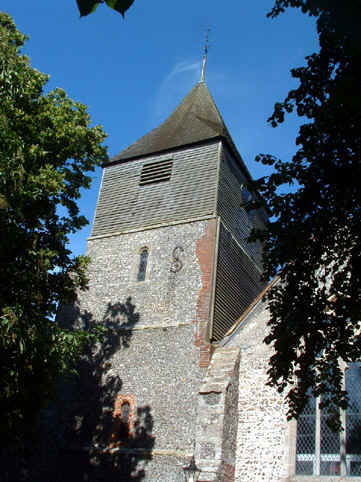 2007 The bells were augmented to 6 with the addition of the clock bell from St George, Perry Hill, as the new treble.